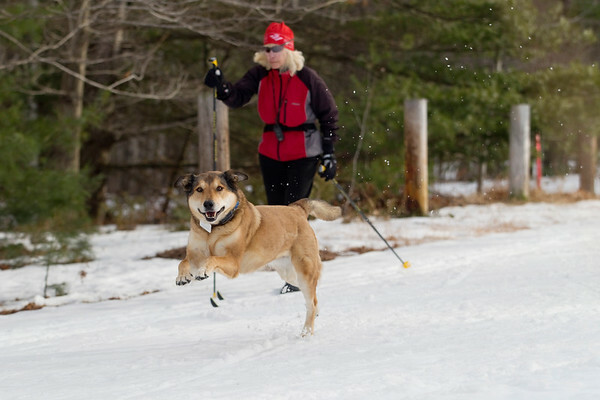 "It's so sad," Ann Huber said of the melting snow on the Vasa Pathway while skiing with her dog Stella. "I don't know who will be more depressed if this melts, me or her." Huber said she skis the trail twice a day - the big loop in the morning and the shorter trail in the afternoon with Stella, who has her own sponsorship sign along the trail.